The Retro-Air 400 Rejuvenator System is designed to convert an ordinary septic tank into an aerobic tank. This process will repair failed systems by eliminating bio-mat clogging in the drainfield. Retro-Air is designed and tested for use in single or multiple compartment septic tanks from 500-1000 gallons and flows 200-400 gallons per day. The Retro-Air 400 Rejuvenator System comes with a 2-Year Limited Warranty. The Retro-Air 600 Rejuvenator System is designed to convert an ordinary septic tank into an aerobic tank. This process change will repair failed systems by eliminating bio-mat clogging in the drainfield. Retro-Air is designed and tested for use in single or multiple compartment septic tanks from 500-1000 gallons and flows 200-500 gallons per day. The Retro-Air 600 Rejuvenator System comes with a 2-Year Limited Warranty. The Retro-Air 800 Rejuvenator System is designed to convert an ordinary septic tank into an aerobic tank. This process change will repair failed systems by eliminating bio-mat clogging in the drainfield. Retro-Air is designed and tested for use in single or multiple compartment septic tanks from 500-2000 gallon and flows 300-600 gallons per day. 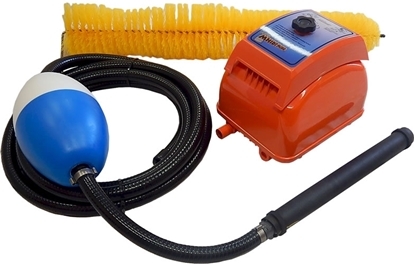 The Retro-Air 800 Rejuvenator System comes with a 2-Year Limited Warranty. The Retro-Air 400 Rejuvenator Premium System is designed to convert an ordinary septic system into an aerobic tank. This process change will repair failed systems by eliminating bio-mat build up in the drainfield and that wet spot in the yard. Retro-Air is designed and tested for use in single or multiple compartment septic tanks from 500-1000 gallons and flows of 200-400 gallons per day. The Retro-Air 400 Rejuvenator Premium System comes with a 2-year limited warranty. 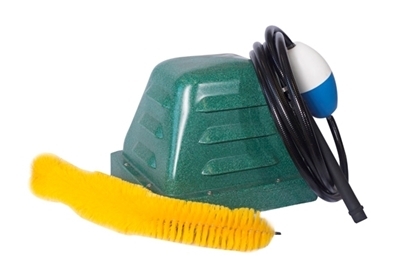 The Retro-Air 600 Rejuvenator Premium System is designed to convert an ordinary septic system into an aerobic tank. This process change will repair failed systems by eliminating bio-mat build up in the drainfield and that wet spot in the yard. Retro-Air is designed and tested for use in single or multiple compartment septic tanks from 500-1500 gallon and flows of 200-500 gallons per day. 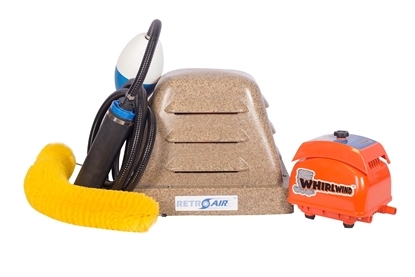 The Retro-Air 600 Rejuvenator Premium System comes with a 2-year limited warranty.